The answer is actually really simple… Hands down, the best and most trusted and recommended maps are made by Guia Roji. Ask anyone who’s travelled through Mexico which maps they recommend and they will tell you Guia Roji. Where can you get these maps? If you’re still north of the border, Amazon is your best bet. Below are links to buy the maps on Amazon. Many of these are affiliate links so I get a small commission if you purchase. However, there’s no obligation to purchase from these links and you can search out these products yourself on Amazon or elsewhere. With that in mind, let’s talk about some of the best maps available. They have a lot to offer, so let’s focus on the most relevant to moto travelers. 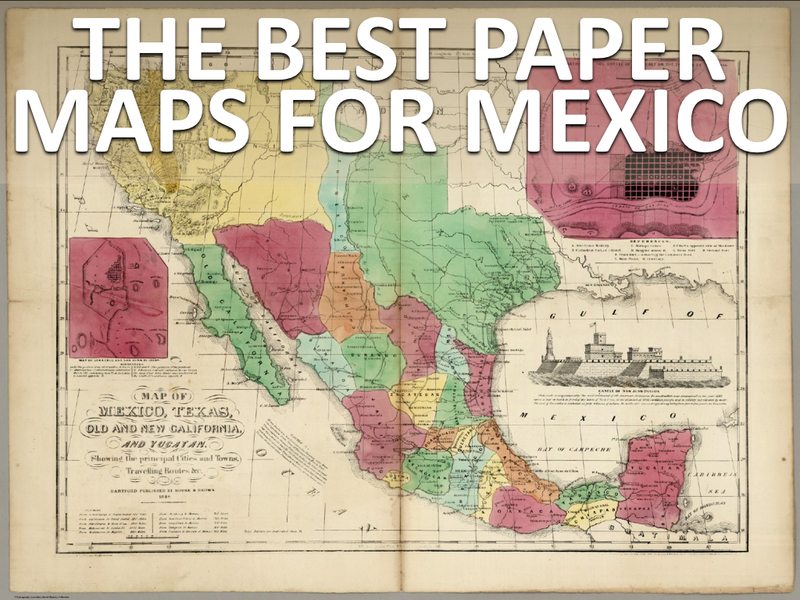 The holy grail of Mexico maps is this 100+ page Mexico atlas. It’s been recently updated and is all in Spanish, but that’s a good thing and will help you when you’re reviewing it with the locals. With a scale of 1:1,000,000 it has a good balance of overview and detail. At a size of 9″ x 11″ it’s a little too big to fit in the map pocket of most tank bags, but it’s a great general reference. Some riders tear out the pages, others make photocopies of pages and stick them in their tank bag. If a simple folded map that fits in your tank bag’s map pocket is more your style, consider this folded map of Mexican roads. There are many more city and state maps available too. Guia Roji doesn’t update the maps very often, but when the do, travelers jump at the opportunity to grab a new copy. Long term travelers usually hang onto these and use them daily for years and years. It’s common to find that the latest map for a particular area is actually a few years old. In general, this is not a problem, but roads are being built and paved all the time. It’s best to ask around locally if you’re exploring off the beaten path. 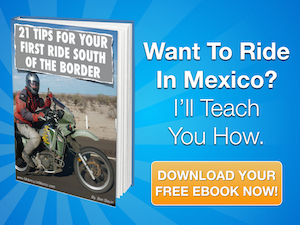 Click here if you want to find a maps specific areas all around Mexico. If you’re already in Mexico, these maps can sometimes be found at OXXO and 7-Eleven convenience stores. Alternatively, you can try bookstores in touristy towns. Alright, that’s great, but are there other options? Of course, here’s a summary of the many other Mexico maps available. The Automobile Associate of America has free maps for it’s members. However, many riders find there are a lot of roads, towns and interesting sites that are completely missing from the AAA maps. The Canadian Automobile Association is another option for Canadian riders. The Instituto Nacional de Estadística y Geografía (INEGI) is another highly recommended map source. Use their interactive map to find a local office in Mexico. This is a great option if you’re looking for very detailed maps of a smaller areas (like 1:250,000 or 1:50,000). Consider these if you’re riding off-road in Baja. A close second to the Guia Roji maps are those by Canadian map maker ITMB. For many other countries around the world, these are often touted as the best available maps. And for Central and South America, that’s definitely true. For Mexico, they have a nice 25+ page Atlas that is actually small enough to fit inside most tank bag map pockets. There is also a waterproof map o the Baja Peninsula that is now a few years old. Often found in bookstores throughout the United States, the Michelin foldout maps are decent maps with a good overview of the country. NatGeo has a series of “Adventure” maps for many regions of Mexico. These are great because they are printed on tear-resistant paper. The content is good, but other maps may be better. That said, their maps of Baja are very thorough. Here’s a few of the more common maps: Mexico, Baja South, Baja North. Great for planning, wall maps offer travelers a wide look at the entire country. These maps are great for building a rough itinerary and perfect for family and friends to follow along on the journey. National Geographic has a nice Mexico wall map available in both laminated and unlaminated finishes.